York Revolution manager Mark Mason made a flurry of roster moves ahead of Friday night’s War of the Roses presented by PNC Bank matchup at Lancaster. The biggest move of all was bringing back one of the most potent bats in York’s first half Freedom Division championship run. Former Revs catcher Isaias Tejeda returns for his second stint of the season with the Revs after being released by the Atlanta Braves. The Braves signed Tejeda, 24, on June 21, assigning him to the High-A Carolina Mudcats of the Carolina League. He hit .256 with 10 doubles, two triples, four home runs, and 30 RBIs in 43 games with the Mudcats, batting in the middle of the order for a great deal of those games. Tejeda’s first at-bat for Carolina on June 25 was a memorable one: he smacked a two-run homer and drove in a third run, helping the Mudcats beat the Myrtle Beach Pelicans 8-1. That fueled a hot stretch in which Tejeda notched 20 RBIs in his first 21 games. Tejeda made himself an indispensable part of the Revolution lineup through the first two months of the season. At the time of his departure, his .351 batting average was second-highest in the Atlantic League. He hit 15 doubles, six home runs, and 23 RBIs with a .954 OPS over his first 41 games with the club. A model of consistency, Tejeda had two hitting streaks of double-digit games: a 10-gamer May 19 through 30 and a team-high 17-gamer from May 30 through his last game with York on June 20. The Dominican national hit his first two home runs of the season in one game, helping the Revs best Somerset at home 7-5 on May 27. Tejeda’s versatility allowed him to make starts at third base, left field, and right field in addition to his 25 starts as catcher and three as designated hitter. York will look to improve its offensive output twofold as outfielder Michael Burgess is expected to come off the disabled list at some point during the weekend series at Lancaster. Burgess, 27, has been on the DL since July 19 after tearing his meniscus. With the knee healed and Burgess moving better than he did before the surgery, Mason feels this is the best time to let his lefty slugger see some Atlantic League pitching before the postseason. When healthy, Burgess is one of the most feared home run threats in the circuit. 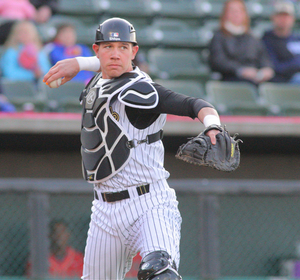 He has batted .283 with seven home runs and 26 RBIs, good for an .885 OPS, in 29 games with York this season. Stretched out a full 140-game season, Burgess would produce 34 homers and drive in 126 runs at that pace. With the re-additions of Tejeda and Burgess to the active roster, Mason released outfielder Ryde Rodriguez, catcher Brian Erie, and relief pitcher Luis Perdomo. Acquired from Southern Maryland on July 22 to complete the Alfredo Marte trade, Rodriguez hit .147 in 12 games with the Revs. 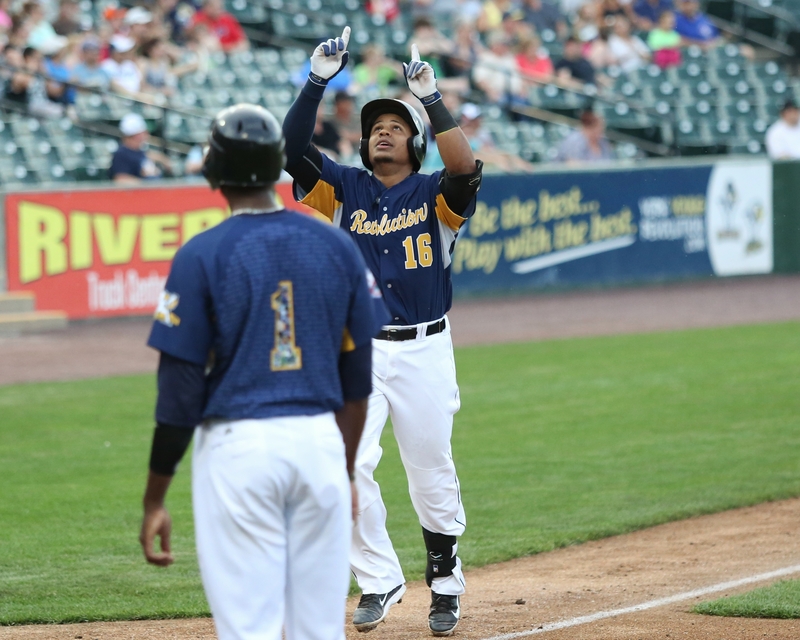 Erie doubled for his first hit in 17 at-bats over five games on Wednesday night at Somerset. Perdomo went 3-1 with a 5.70 ERA over 23.2 innings (22 appearances) out of the York bullpen.